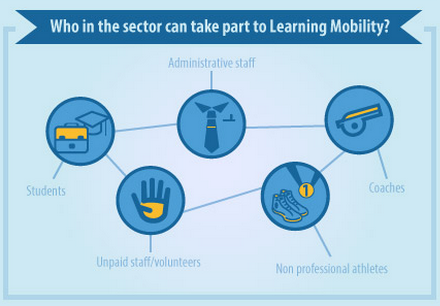 Towards a culture of learning mobility in sport: funds are available why not grabing them? Since our very beginning, we at EOSE have always considered mobility as a tool to increase motivation for lifelong learning and a worth taking investment in terms of workforce development. 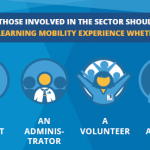 Not only do we strongly believe that immense benefits could be reached if the sector adopts a culture of Learning Mobility, we are convinced that this is a co-shared responsibility of all stakeholders to take concrete actions as #MobilitySupPORTJobs*! Yet as shown by the Feasibility Study conducted in 2013, the reality is that sport has only participated at a low level in learning mobility. That is the reason why we at EOSE have recently been active in the implementation of some concrete activities of mobility. In the following article you will find some feedback about our own experience of developping learning mobility activities in and for the sector. You may first of all wonder what might the Learning Experience consist of. Depending on the funding stream people can move from one organisation to another – for example, from university or VET training provider to an employer or to another education institute OR from an employer to another employer or training provider. There are many combinations depending on the funding stream. It is of importance to know that the sport sector is eligible to EU funding in terms of learning mobility. This opportunity is providing funds for the mobility of higher education students and staff. Institutions that hold an Erasmus Charter for Higher Education (ECHE) can apply for student and staff mobility funding under Key Action 1 of the Erasmus+ programme. This part of Key Action 1 is managed by National Agencies. Youth Exchanges allowing groups of young people from different countries to meet together for 5 to 21 days to carry out an activity programme designed and prepared by them before the exchange. Exchanges are designed to allow young people to develop skills, competencies and attitudes, cultural awareness, and experience new lifestyles, mainly through peer led and informal learning and development opportunities. They often include debates, role-plays, outdoor activities, workshops etc. This will provide concrete opportunities of mobility funding especially for the volunteers and staff of sport organisation. Through Key Action 2 (Strategic Partnerhsip) and Key Action 3 but also through the Sport Chapter of the Erasmus + programme as well as ESF funds, opportunities exist to embed learning mobility activities as part of wider approach to tackle some issues, exchange some good practices and focus on workforce development. For example, Strategic partnerships provide the vehicle for organising mobility activities for adult learners – such as stud visits or blended learning combining physical and virtual mobility. The Olympic movement offers a range of opportunities for those working and operating in the Olympic environment. 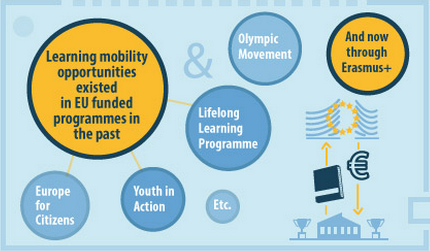 The following summary (and corresponding annex) highlights opportunities for learning mobility offered through two relevant programmes of funding – the ‘Olympic Solidarity World Programme’ and the ‘International Olympic Academy Educational Programme’. The World Programmes covering four areas of sports development are considered essential for National Olympic Committees to accomplish the mission that has been entrusted to them by the Olympic Charter. For the 2013-2016 quadrennial period, the priority of the 17 World programmes is to increase global assistance to athletes, reinforce NOC structure and global management capacities, continue to support coach education and promote the Olympic Values. Last but not least, based on our experience we also strongly advice any potential participant to have a close look at local, regional and national initiatives. Indeed many authorities are providing support to mobility. 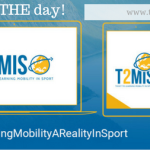 11 April 2017 Do you want a ticket to learning mobility in sport? 25 September 2015 Recognition of nonformal and informal learning: Looking for good practices!